There was a time in America when one could drive down a suburban street and see many things; a milkman, newspapers, and station wagons. None are familiar sights in today’s modern world. Milk can be had in abundance at the corner convenience store beside the slurpy machine, and newspapers are no longer delivered but served on a website that can be opened on your IPad whenever you want. Station wagons? Those seem to be an even rarer commodity. Many of us in our 50s put our young lives on the line riding un-seatbelted while facing the rear window of a station wagon. Between that, violent cartoons and the copious amounts of Gluten and antibiotic infused food we consumed it’s a wonder there are any of us left in the world at all. Some of the blame for the demise of the station wagon can be directed at SUVs and crossovers. Most of the fault however falls squarely on the shoulders of the minivan. When auto manufacturers put windows on and put extra seats in, the van was transformed from something our mothers told us to never go near, to what has become the now iconic family vehicle. There are still station wagons in America. 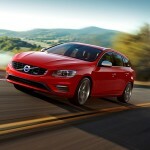 They just aren’t called “station wagons”, they are known as “sport wagons” or fall under the crossover umbrella. Volvo has such a vehicle. They call theirs simply a “wagon”. After spending a week with the R-Design variant recently, we call it a very good car. 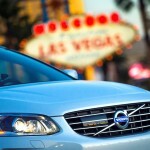 Introduced in 2010 as a version of the S60 coupe, Volvo at first even refused to use the word “wagon”. Instead, they called it an “Estate” version with a little more room than the coupe. 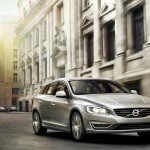 Fast forward to 2105 and Volvo no longer avoids the word and calls the all-new V60 a five-seat wagon. There are three models: T5 Drive-E FWD or AWD and the T6 AWD R-Design. The T5 Drive-E FWD model comes with a turbocharged 2.0-liter four-cylinder engine, an eight-speed automatic transmission and front-wheel drive. T5 AWD models come with a turbocharged 2.5-liter five-cylinder engine, a six-speed automatic transmission and all-wheel drive. T6 AWD R-Design models come with a turbocharged 3.0-liter six-cylinder engine, a six-speed automatic transmission, all-wheel drive and a sport chassis. T5 models come in four trims: base, Premier, Premier Plus and Platinum. T6 models come in two trims: base and Platinum. Our model for the week was the T6 R-Design, with the base trim. 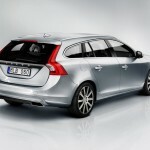 While we don’t have much experience with the Volvo line, we do know that while founded and still run in Sweden, the automotive line was sold to Ford in 1999 and to a Chinese company in 2010. Another thing that came to mind was the Volvo station wagons of old; the ugly boxy unreliable cars that were once only driven by high-school science teachers (at least ours) who blared ABBA out of the speakers. 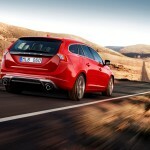 The new Volvo wagons have come a long way since then. 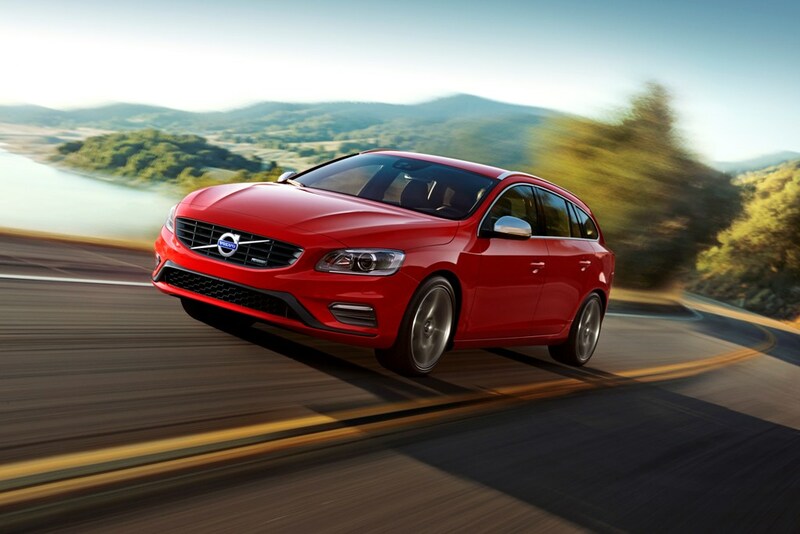 The V60 has a sleek design that looks less like a wagon and more like a stretched out coupe. The R-Design features a front and rear spoiler and rear diffuser atop 19-inch IXION wheels. It is a nice look that seems to fit in today’s world. Our model for the week was actually a 2015.5. 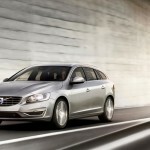 Volvo added new features for the mid-year including their Sensus Connect and Volvo On-Call with Sensus Navigation with Map Care standard on all T6 models and an available option on other trims as is a new Kardon Premium Sound System. 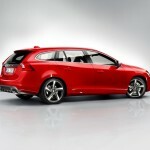 Falling in line with their fellow auto execs Volvo calls the V60 a “sport wagon”. For our model the sport part, beyond a sport tuned suspension including heavier springs, came from an 3.0 liter inline-6 turbocharged powerplant that delivers 325 horses and 354 feet of torque. The overall build quality of the cabin, with a style that is best described as simple, was impressive. The sport seats in our model was very nice, comfortable and heated, something that is becoming a favorite add on of ours. There was a little disappointment in the lumbar support. While there is an available power lumber option (standard on the Premium trim), the lumbar support is manual meaning the driver has to crank an annoying little knob on the right side of the seat. Not only annoying, to be honest no matter how much we cranked it we felt very little in the way of lumbar support. 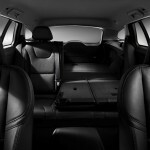 There is also a little less room in the cargo area and the backseat for some people and definitely something to be looked at. There was another little annoyance. For a company that was once heralded as being the safest on the road on our model there was no backup camera or driver assist like adaptive cruise control or lane assist. There was a parking assist system that consisted of warning tones and a display showing when you were in danger of hitting something when parking. 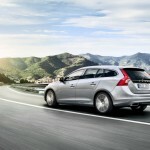 We just found it a bit curious that with all the available safety innovations for driver assist and safety our V60 had very little that comes standard. To be fair there is the Volvo City Safety system that is supposed to provide collision avoidance up to 31mph, beyond that however, unlike others, you are on your own. While the City Safety system is now standard, a Lane Keeping feature is only available with the Technology package. There are more highlights than lowlights however. Chief among them being the well laid out and presented dash with an easy to read central gauge that can be customized. The Sensus infotainment system, which comes with a 7-inch display, was nice although the inputs come from a single dial on the center console were a little tough to figure out at first and the numbered buttons used to control some of the infotainment seem a little out of date. The 160-watt high performance sound system is one of the better ones we’ve heard and a button to pop down the backseat headrests was sort of cool. By the way did we mention the front seats? The sport seats were by far some of the best we have tried in quite some time. The highlights continued on the road. The older Volvo in our mind was a big boxy beast. That impression continues in the new V60 but in a good way. This car is heavy but still pretty nimble on the road. The 325 horses, provided in large part to a software upgrade that Volvo gets from its racing partner Polestar. There seems to be a great deal of power, but given perhaps to the weight (3790 pounds curb weight), there doesn’t seem to be the explosive power of the Mercedes E63 wagon we drove last year. Still with 400 horses less than the mind-blowing E63, there is a great deal of power to call on when needed. The fuel mileage is admirable at 19 city and 28 highway and while we may not consider it a true “sports” wagon or drivers car, given a bit more body roll in aggressive cornering than we would like with a true sports car, the V60 was a blast overall. 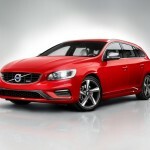 The Volvo V60 T6 is a winner in our books. With its slightly conservative drive and power, it should be fine for most drivers to handle. There are enough standard features to suit most and at a fair price ($48,225 MSRP for our model with upgrades). 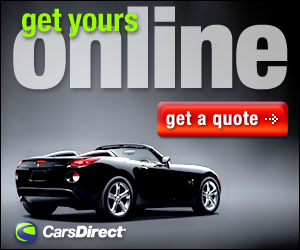 It can get up and go if needed, and otherwise deliver a solid driving performance and ride. Here’s the problem. For some reason the auto executives think that the name “station wagon” carries with it some sort of embarrassing stigma; so they avoid calling something that is a station wagon, a station wagon. 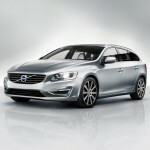 In our minds the Volvo V60 is a station wagon. Updated perhaps, shorter and with no way for kids to face out the back un-seatbelted, but a station wagon, at least to us. Maybe we are pining for the days of old when the milkman still knocked and newspapers hit the porch. Maybe those days are gone forever. But maybe it’s time we put the word “minivan” in an embarrassing light and allow “station wagon” to become part of our everyday vocabulary once more.